The dsp.HighpassFilter System object™ independently filters each channel of the input over time using the given design specifications. You can set the FilterType property of dsp.HighpassFilter to 'FIR' or 'IIR' to implement the object as an FIR or IIR highpass filter. Create the dsp.HighpassFilter object and set its properties. HPF = dsp.HighpassFilter returns a minimum order FIR highpass filter, HPF, with the default filter settings. Calling the object with the default property settings filters the input data with a stopband frequency of 8 kHz, a passband frequency of 12 kHz, a stopband attenuation of 80 dB, and a passband ripple of 0.1 dB. HPF = dsp.HighpassFilter(Name,Value) returns a highpass filter, with additional properties specified by one or more Name,Value pair arguments. Name is the property name and Value is the corresponding value. Name must appear inside single quotes (' '). You can specify several name-value pair arguments in any order as Name1,Value1,...,NameN,ValueN. Input sample rate in Hz, specified as the comma-separated pair consisting of 'SampleRate' and a positive real scalar. 'FIR' — The object designs an FIR highpass filter. 'IIR' — The object designs an IIR highpass (biquad) filter. Minimum order filter design, specified as the comma-separated pair consisting of 'DesignForMinimumOrder' and a logical value. If this property is true, then dsp.HighpassFilter designs filters with the minimum order that meets the passband frequency, stopband frequency, passband ripple, and stopband attenuation specifications. Set these specifications using the corresponding properties. If this property is false, then the object designs filters with the order that you specify in the FilterOrder property. This filter design meets the passband frequency, passband ripple, and stopband attenuation specifications that you set using the respective properties. Order of the FIR or IIR filter, specified as the comma-separated pair consisting of 'FilterOrder' and a positive integer scalar. Specifying a filter order is only valid when the value of 'DesignForMinimumOrder' is false. 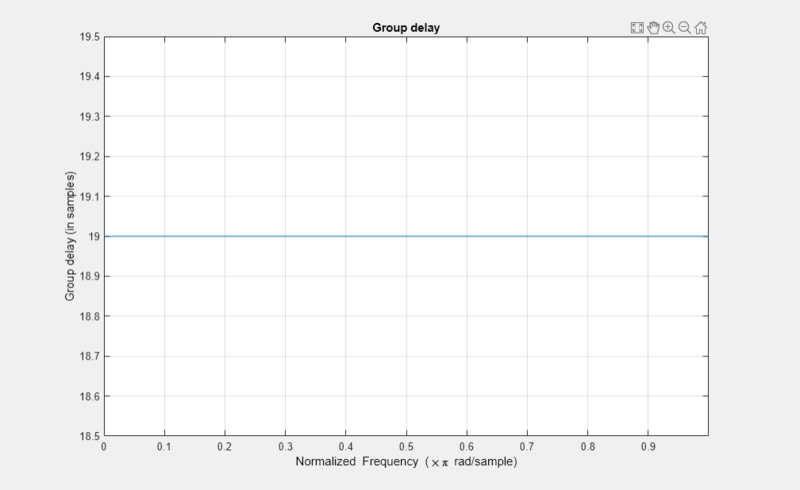 Filter stopband edge frequency in Hz, specified as the comma-separated pair consisting of 'StopbandFrequency' and a real positive scalar. The value of the stopband edge frequency in Hz must be less than the passband frequency. You can specify the stopband edge frequency only when 'DesignForMinimumOrder' is true. Filter passband edge frequency in Hz, specified as the comma-separated pair consisting of 'PassbandFrequency' and a real positive scalar. The value of the passband edge frequency in Hz must be less than half the SampleRate and greater than StopbandFrequency. Minimum attenuation in the stopband in dB, specified as the comma-separated pair consisting of 'StopbandAttenuation' and a real positive scalar. Minimum attenuation in the stopband defaults to 80 dB. Maximum ripple of filter response in the passband, in dB, specified as the comma-separated pair consisting of 'PassbandRipple' and a real positive scalar. 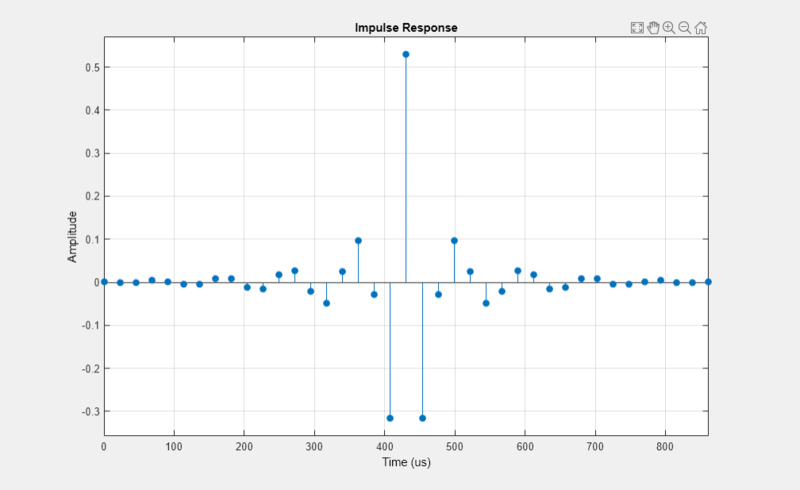 Maximum ripple of filter response defaults to 0.1 dB. Word and fraction lengths of coefficients, specified as a numerictype object. The default, numerictype(1,16) corresponds to a signed numeric type object with 16-bit coefficients and a fraction length determined based on the coefficient values, to give the best possible precision. y = HPF(x) highpass filters the input signal, x. y is a highpass-filtered version of x. Noisy data input, specified as a vector or a matrix. If the input signal is a matrix, each column of the matrix is treated as an independent channel. The number of rows in the input signal denote the channel length. This object accepts variable-size inputs. After the object is locked, you can change the size of each input channel, but you cannot change the number of channels. Filtered output, returned as a vector or a matrix. The output has the same size, data type, and complexity characteristics as the input. 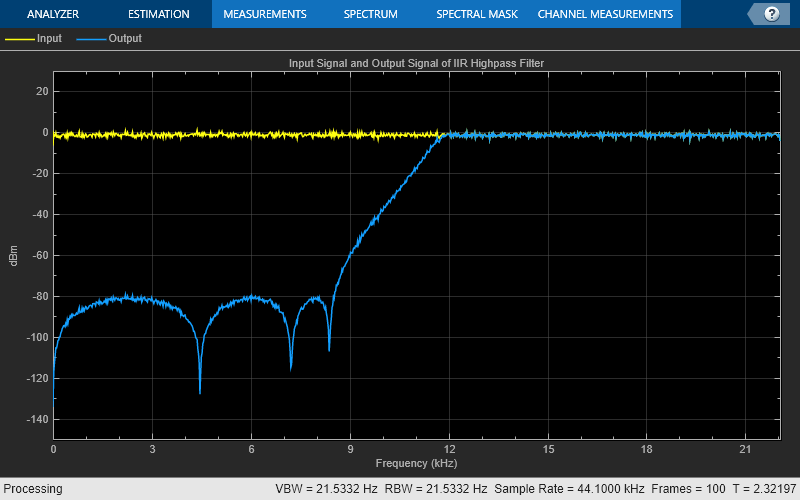 Create a minimum order FIR highpass filter for data sampled at 44.1 kHz. Specify a passband frequency of 12 kHz, a stopband frequency of 8 kHz, a passband ripple of 0.1 dB, and a stopband attenuation of 80 dB. Design a minimum order IIR highpass filter with the same properties as the FIR highpass filter. Use clone to create a system object with the same properties as the FIR Highpass filter. Change the FilterType property of the cloned filter to IIR. 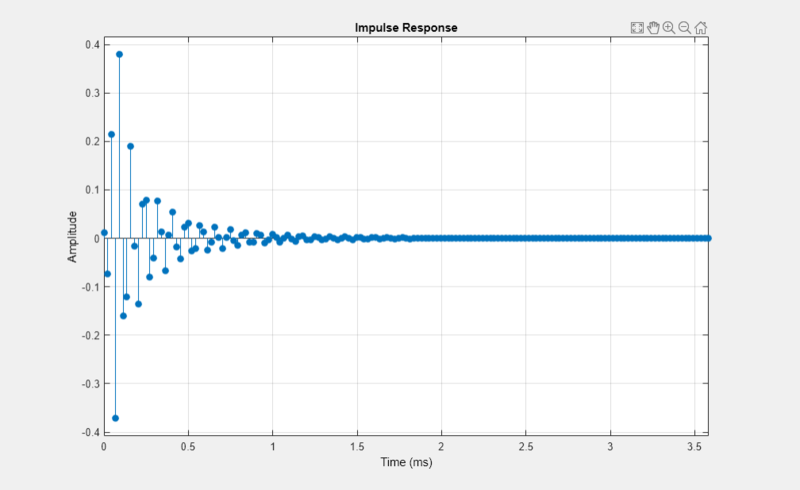 Plot the impulse response of the IIR highpass filter. 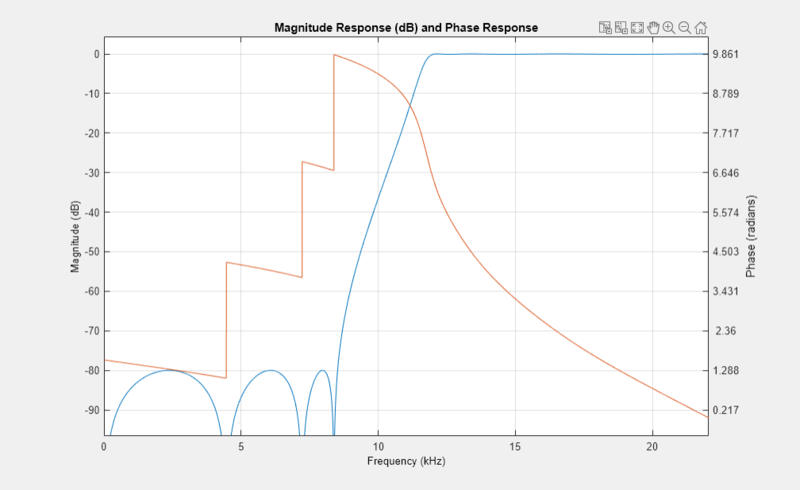 Plot the magnitude and phase response of the FIR highpass filter. 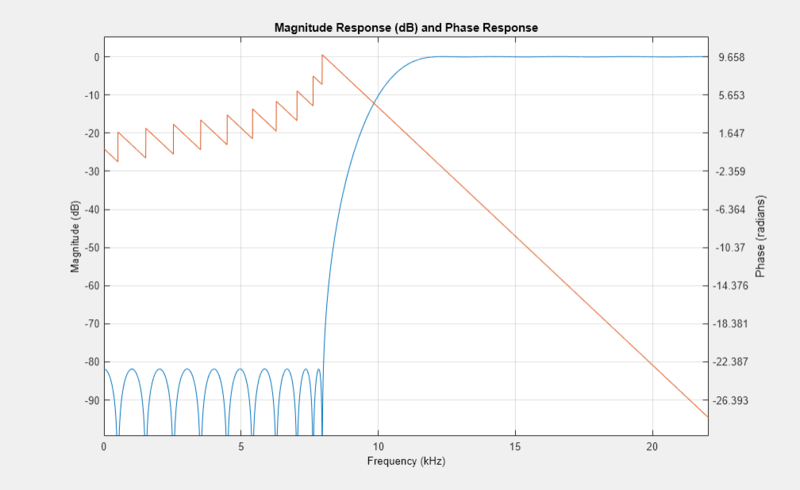 Plot the magnitude and phase response of the IIR highpass filter. Calculate the cost of implementing the FIR highpass filter. Calculate the cost of implementing the IIR highpass filter. The IIR filter is more efficient to implement than its FIR counterpart. Calculate the group delay of the FIR highpass filter. 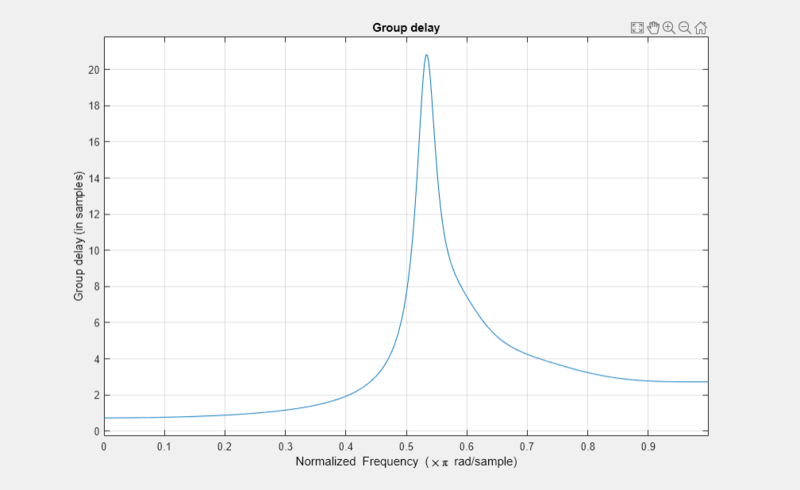 Calculate the group delay of the IIR highpass filter. The FIR filter has a constant group delay (linear phase) while its IIR counterpart does not. Set up the IIR highpass filter. The sampling rate of the white Gaussian noise is 44,100 Hz. The passband frequency of the filter is 12 kHz, the stopband frequency is 8 kHz, the passband ripple is 0.1 dB, and the stopband attenuation is 80 dB. 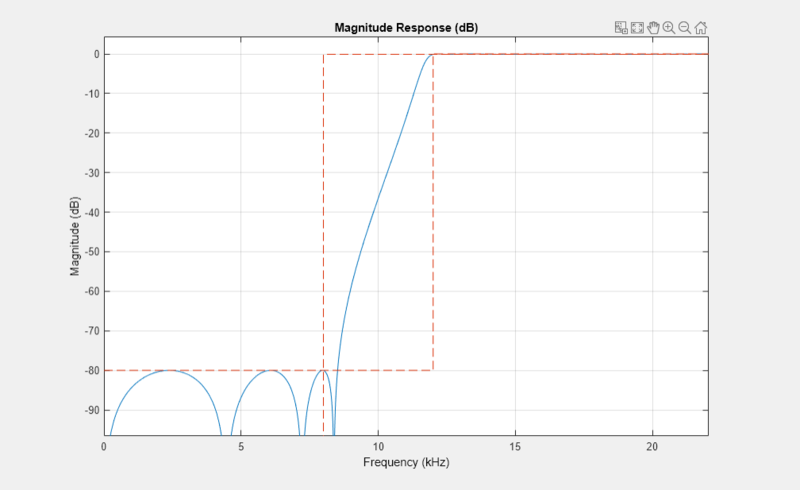 View the magnitude response of the highpass filter. Create a spectrum analyzer object. Filter the white Gaussian noisy input signal. View the input and output signals using the spectrum analyzer. When the FilterType property is set to 'FIR', the dsp.HighpassFilter object acts as a FIR highpass filter. In this configuration, dsp.HighpassFilter is an alternative to using firceqrip and firgr with dsp.FIRFilter. This object condenses the two-step process into one. For the minimum order design, the object uses generalized Remez FIR filter design algorithm. For the specified order design, the object uses constrained equiripple FIR filter design algorithm. The designed filter is then implemented as a linear phase Type-1 filter with a Direct form structure. You can use measure to verify that the design meets the prescribed specifications. When the FilterType property is set to 'IIR', the dsp.HighpassFilter object acts as an IIR highpass filter. In this configuration, this object uses the elliptic design method to compute the SOS and scale values required to meet the filter design specifications. The object uses the SOS and scale values to set up a Direct form I biquadratic IIR filter, which forms the basis of the IIR version of the dsp.HighpassFilter System object. You can use measure to verify that the design meets the prescribed specifications. Shpak, D.J., and A. Antoniou. "A generalized Remez method for the design of FIR digital filters." IEEE® Transactions on Circuits and Systems. Vol. 37, Issue 2, Feb. 1990, pp. 161–174. Selesnick, I.W., and C. S. Burrus. "Exchange algorithms that complement the Parks-McClellan algorithm for linear-phase FIR filter design." IEEE Transactions on Circuits and Systems. Vol. 44, Issue 2, Feb. 1997, pp. 137–143.